Happened to catch part of AgDay I think was the program this morning (did not realize we still have on our cable, time and all had changed greatly). They spent a few minutes on talking about where the demand on used tractors was today and based upon the way they talked it had been in over 100hp models but for at least most of this year it has been for under 100hp. 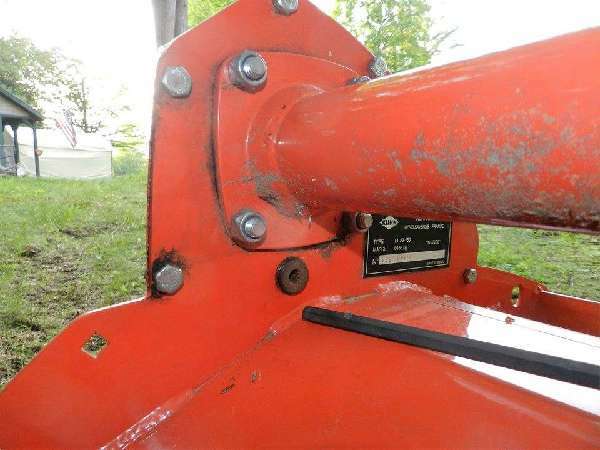 That was based upon two pieces of date per Machine Pete (think have his name right) who on first piece of data thought well of it for he pulled internet searches and then he used ONE 2013 Kubota M70?? that sold at auction with FEL, cab will say probably loaded with all options for near $40,000 which was over a $1,000 more than at least two dealers had on their lot. When I bought my first tractor the salesman gave me some great advice, be careful with auctions. I have seen and known of many times people could have bought new what they bought used at auction. Guess they think every thing sells cheaper at auction or it is only $100 more than I have already bid or such. But to state your case on ONE tractor at ONE auction? Not very good data to me but I very much believe in my part of the world by far more used under 100hp are sold every year, new and used. The lower HP machines are at least more transportable than their larger brothers so could account for some of the higher volume in some periods. Somehow I found it strange they were surprised the under 100hp tractor market was more active then the over 100hp. If would think the regular capacity pickup market is more active than the 3/4 up tonnage is just due to seeing what is on the road and around me I bet there are 2 under 100hp for each over 100hp for many use smaller tractors for landscaping, construction work, small farms, trailers and sprayers on bigger farms and so forth. Do not forget us weekend warriors either. Realize there are many over 100hp out there and most farmers of real size use 100hp plus for about all they do but then many still have one under for their utility work. As to buying at auctions, good place to quickly learn you are not as smart as you thought you were and I mean quickly and costly. I learned long time ago do my home work for what I wanted before I go, even if I find something else before it comes up for sale think with my brain and come to max and I mean fully max price I will go and live with it. But also have price I am willing to run it to quickly to run off those playing with the item. If it is worth $2,000 I have no problem pushing the bid above $1,000above real quickly to let all know I am serious. Has worked for me. Now I DO NOT OFTEN BUY AT AUCTIONS. For me my best is one on one. I judge the owner as well as the item for idea on how it has been treated. Maybe cause I have four pieces of equipment and all below 100hp I thought many more do. Art probably does not even carry play pen toys like I use.